For parents, the hardest part of divorce is how it affects the kids. How do you explain to your child the reasons for choosing to divorce your spouse? How do you avoid creating feelings of guilt or blame, and let them know they are not responsible for the decision? 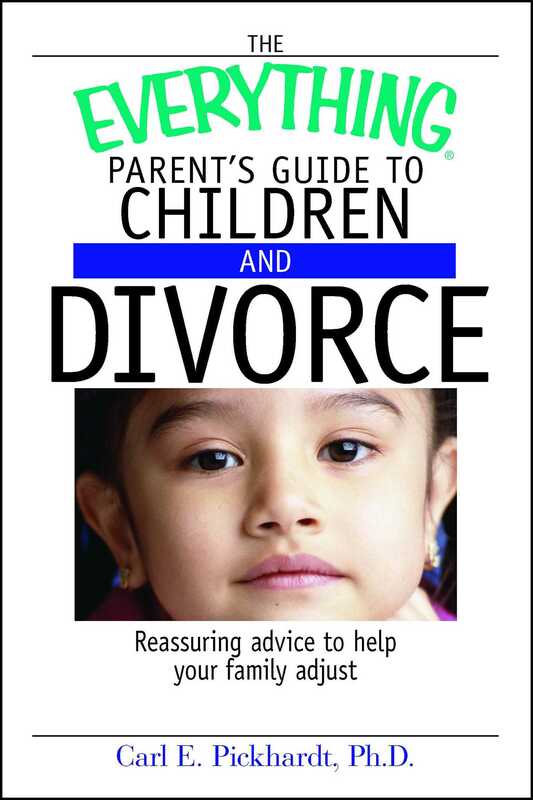 The Everything Parent's Guide to Children and Divorce, written by expert author, psychologist, and child of divorce Carl E. Pickhardt, Ph.D., provides you with the support you need to prepare your children for this adjustment. Preventing your child from "acting out"
A comprehensive guide to help you make informed, confident decisions, The Everything Parent's Guide to Children and Divorce is the one resource you need to help your child make it through this difficult time with ease.